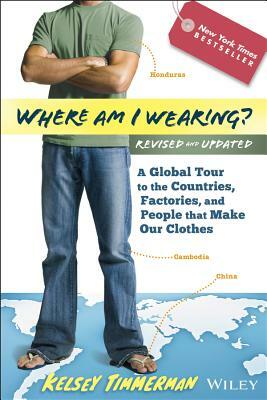 When journalist and traveler Kelsey Timmerman wanted to know where his clothes came from and who made them, he began a journey that would take him from Honduras to Bangladesh to Cambodia to China and back again. Where Am I Wearing? intimately describes the connection between impoverished garment workers' standards of living and the all-American material lifestyle. By introducing readers to the human element of globalization--the factory workers, their names, their families, and their way of life--Where Am I Wearing bridges the gap between global producers and consumers. Kelsey Timmerman speaks and universities around the country and maintains a blog at www.whereamiwearing.com. His writing has appeared in the Christian Science Monitor and Cond Nast Portfolio, and has aired on NPR. Enlightening and thought-provoking at once, Where Am I Wearing? puts a human face on globalization. KELSEY TIMMERMAN is a freelance journalist and public speaker. He's spent the night in Castle Dracula in Romania, gone undercover as an underwear buyer in Bangladesh, and taught an island village to play baseball in Honduras. His writing has appeared in publications such as the Christian Science Monitor and has aired on NPR.